A hernia occurs when one organ pushes out via an opening in the muscle that keeps it in place. Most commonly found in the abdomen, hernia also appears in the upper thigh, belly button and groin areas. If not taken proper care, it may cause abdominal pain, discomfort, and other severe problems. 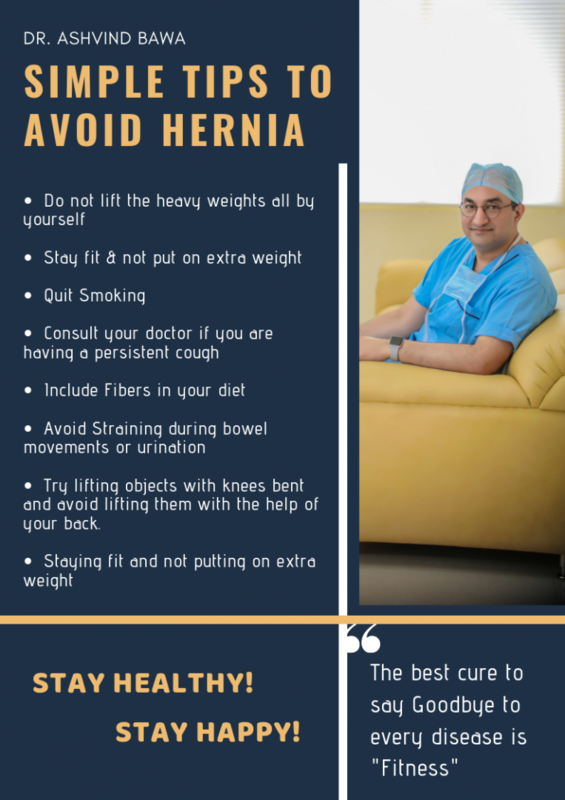 One can follow these quick tips to avoid the worse situations of hernia.